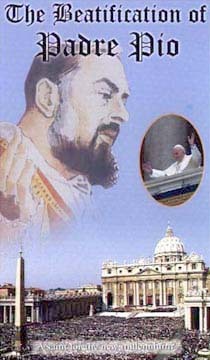 Padre Pio's beatification Mass took place in Rome on May 2, 1999. In a colorful and historic ceremony, Pope John Paul II declared the Church's belief that Padre Pio is among the elect of God's people. The Pope, a devotee of Padre Pio, bears witness to a prediction made by Padre Pio many years earlier - that Carol Woytila would become pope. Many television stations around the world broadcasted the ceremony. 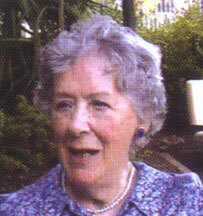 Award-winning international director, J. Paddy Nolan, recorded an impressive record of the ceremony in St. Peter's Square. It is a "must see" for all those devoted to the stigmatic, holy friar. 3:7. For the Lord God doth nothing without revealing his secret to his servants the prophets. More Photos from Video "The Beatification of Padre Pio - by Award British Film Director J. Paddy Nolan"
Other acclaimed J. Paddy Nolan's videos regarding the life of Padre Pio are for sale. J. Paddy Nolan presented some of these videos to Pope John Paul II. for other videos on Padre Pio. 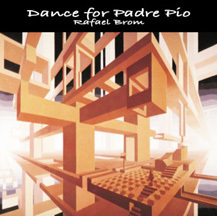 Record Albums of Rafael Brom - Cosmotone Records / Cosmotone Music (ASCAP). Please contact address above by email or mail to receive Wholesale trade discount schedule for resale.